Well, Comcast is down again but they’re willing to reimburse us 7.89 for our inconvenience. Why not go to Verizon? 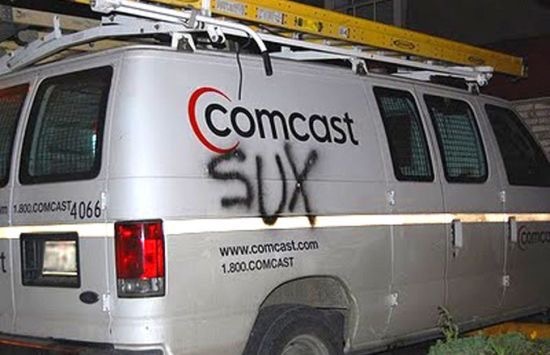 Because they won’t extend Fios to the businesses in Westview. It's Wednesday 12:25 PM — BOOYAH...We're open!